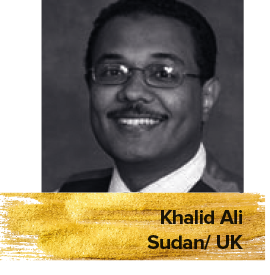 A Sudanese-British film critic, Ali founded the First Arab Forum for Medicine in Film- Egypt Medfest. He covered several film festivals including the London Film Festival. Currently, he is the curator and programmer of the Sudan Independent Film Festival.